Even though Estonia’s sturdy economy has slowed down slightly this year, Ingmar Saksing, a real estate agent in the city of Pärnu, is still doing brisk business. Thank Finnish sunbirds. Last year alone, 15 percent of 250 properties Saksing’s office sold went to Finns. Retired Finns are flocking to their southern neighbor. “People move here because of the low cost of living, and it’s very easy to get here, two hours on the ferry from Helsinki and then a one-and-a-half-hour drive to Pärnu,” reported Matti Linnavirta, a Helsinki businessman who now owns a home there. Call it the poor man’s Florida. 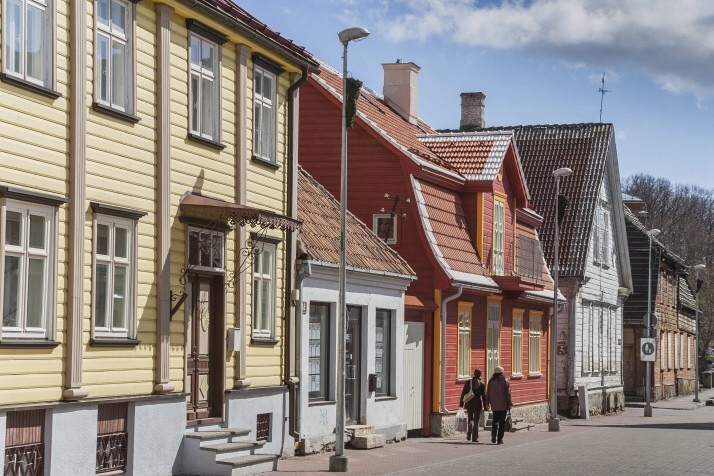 The most popular spot is Pärnu, a 42,000-resident coastal town just a five-hour ferry-and-car journey from Helsinki. It’s all relative, of course: While not exactly Mediterranean in climate, Estonia is balmier than Finland. The Finnish city of Rovaniemi, for example, has an average July temperature of 15 degrees Celsius (59 degrees Fahrenheit), which is 2 degrees cooler than Pärnu. An average one-bedroom home by the sea in Pärnu will set you back about €100,000, about half the price of a comparable flat in Helsinki or on Spain’s Costa del Sol.